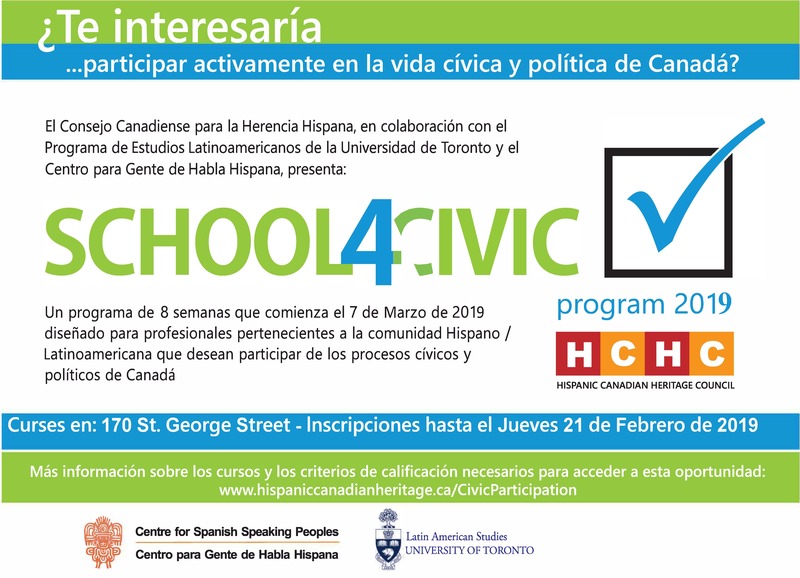 The School4Civic Program is a 8-week program designed for interested persons of the Hispanic / Latin American community who wish to learn more and connect with fellow politicians and civic and political actors. This program will provide an opportunity to learn from the real-life experiences of other professionals. The School4Civic program aims to increase the visibility of Hispanic Latin American presence within all levels of government. The HCHC is committed to providing a program with the ultimate objective of giving all its participants a strong sense of how they can successfully secure themselves a meaningful political and civic role of their interest. The School4Civic Program is a 8-week program beginning on March 7th, 2018 and running until May 2nd, 2019. The program will meet once a week on the Thursday of each week at 170 St. George street in the Jackman Humanities Building (map). Each weekly event will be divided into two parts. 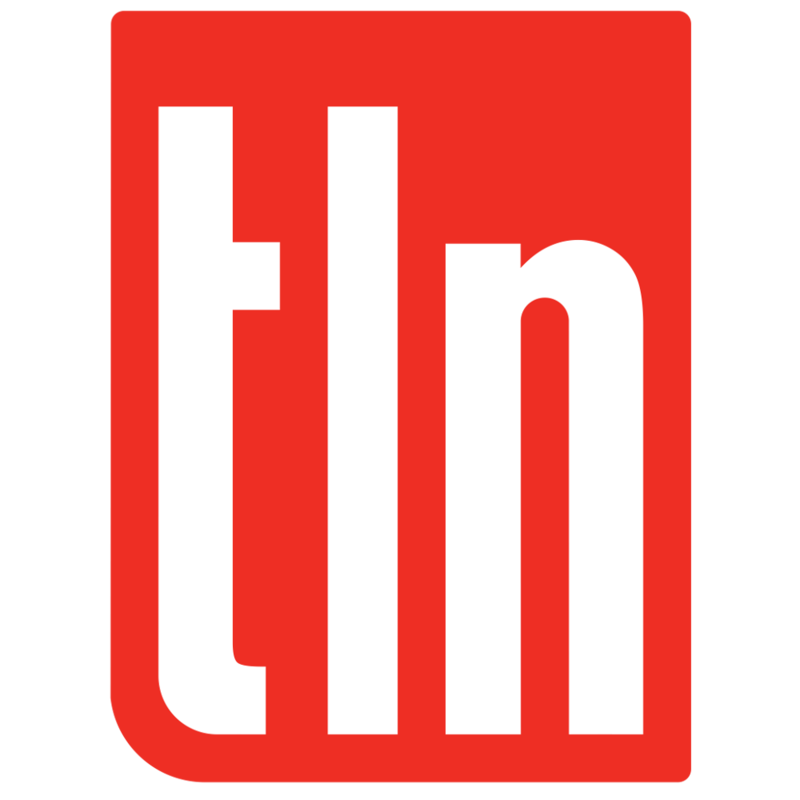 The first will be led by a professional speaker invited to discuss their unique experiences in politics and provide advice to Hispanics / Latin Americans who wish to pursue a similar path. The second half will be a Q&A session with the professional and a time for participants to discuss amongst themselves. Each week will end with practical material that interested persons may take home. The material provided will be practical information relevant to the weekly topic. This will include government website links, and quick articles that provide tips on how to directly get involved within politics, campaigns, organizations, etc. Other resources may include recommended websites that provide tools for campaign development, etc. Moreover, information on Canadian Political parties’ constitutions and commissions that may better prepare interested members to select a party of interest. In addition to this, it is also expected that some invited speakers will bring their own resources to distribute which pertain to their discussion. In order to be enrolled in this program, participants must pay a total of $50.00 CAN to the HCHC no later than the first meeting date of the course. Three selected students will have the opportunity to visit the workplace of one of the guest speakers. This selection will be based on attendance record and participation in the course. Class objective: A brief introduction on the lack of civic engagement where professionals will provide their research and thoughts on barriers to engagement and offer practical tips on overcoming barriers to engagement. This will be followed by a peer discussion on introducing individual’s specific goals of engagement. Class objective: An opportunity to listen to MPs discuss their experience in effectively getting involved in government and politics. Class Objective: Familiarize oneself with the City of Toronto, and connect with councillors and other municipal workers. 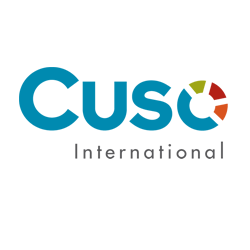 Class objective: Gain a better understanding on Boards and their decision-making process. Class objective: Learn about the three main Canadian political parties and how one may obtain a leadership position in a political party. Class objective: Learn more about the campaigning experience. Strategies, techniques, philosophies.  To participate in this program, please download the application form, fill it up and send it to info@hispaniccanadianheritage.ca.